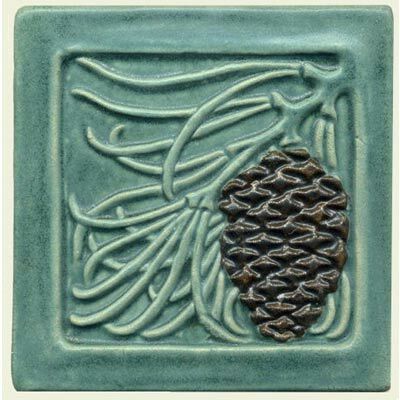 The Pine Cone tiles measure 6" square and have sculpted cones and needles with a raised border. These tiles are a mirror image of one another, making them a nice set for an installation. Choose any single color or two-color combination. 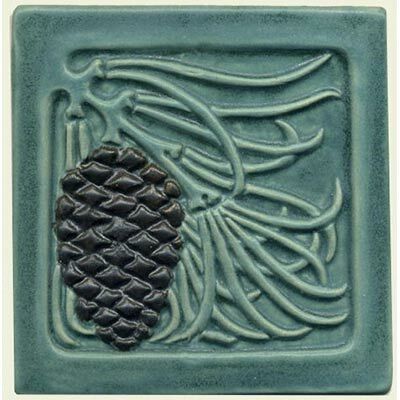 Colors shown: aqua background with brown-black cones.